Church planting is a lot like free-soloing a mountain. As the climber stands in front of the rock, she can make out all of the potential handholds—the path is clearly visible. But once she begins the ascent, her perspective changes and the path is obscured. For the solo climber, the plan transitions into an exercise in moment-by-moment self-reliance. For the church planter, all the planning in the world will not perfectly prepare you for everything that starting a new church entails. Once you jump in, you’re advancing by faith. And (hopefully) you’re operating on diving guidance, intuition, experience, and whatever training you’ve been able to internalize. The actual act of planting a church can be exhilarating for some. The challenging pace and the constant demands make them feel alive. Others might find it to be a terrifying experience. Most people, however, will find themselves vacillating wildly between extremes of euphoria and panic. 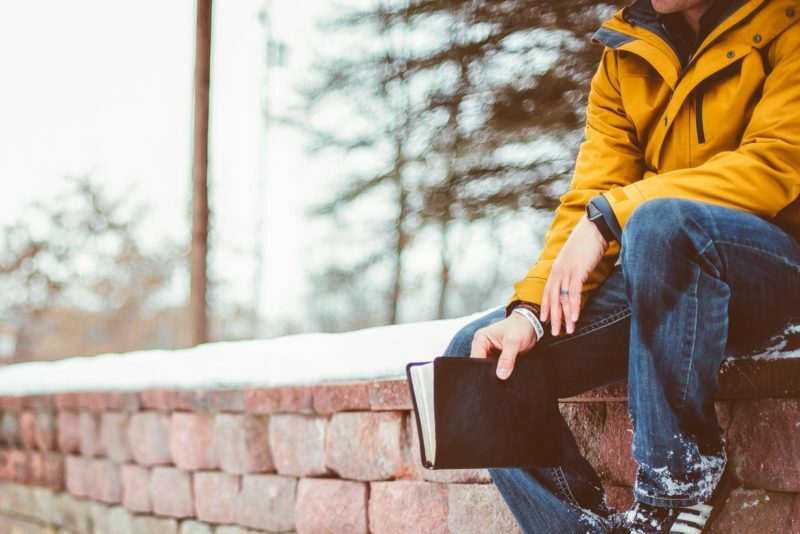 I’ve compiled a list of twelve biblical passages to help inspire and energize church-planting staff—no matter how they’re feeling about church planting! Church plants are God’s kingdom infiltrating the world. And while it’s not an immediate transformation, with proper care and attention, it can bring light to the darkest corners of our cities. One of the great things about church plants is that they typically don’t have the luxury of relying on a church building to draw in visitors. There’s a strong sense that the church has to be brought into the community or else it will die. This is Christ’s ultimate design for the church. He doesn’t want to make church the destination, but wants us to go into the world and bring the church to people. When these two parables are expounded upon, the focus is typically on God’s concern for us as lost individuals, and how emotionally consumed he is with bringing us home. . . and this is absolutely true. But it’s important for the church planter to recognize another important factor in these two parables. In both cases, these lost elements are being returned to community. The lost sheep is returned to its brethren, and the lost coin will, once again, find itself back in the coin purse. We’re not just saving individuals, but helping them experience the belonging they’re looking for within the body of Christ. As church plants throw themselves into their work, it’s important that they’re intentional about chronicling their story. After all, they’re going to need to report to the churches and individuals that are supporting them about all that their doing. But more than that, their story is a tool that God wants to use to inspire and empower the rest of his church. A church plant’s testimony is the story of God’s work in the world, and it can be a way that he re-energizes church that need a good jolt. The church in Corinth was going through some growing pains. A lot of it revolved around people over-identifying with certain members of the early church. Paul wants the church to remember that we’re all partners with the work that God’s doing, but in the end, it’s his work! Christ’s desire is for the church to be built up in unity and increasing in knowledge. Instead of being at the mercy of a constantly shifting cultural identity, the church would be maturing into Christlike fullness. The great news is that you’re uniquely equipped with gifts to help get that job done. Sadly, we tend to get focused on the gifts we don’t have rather than developing the ones we do. But once you learn how to surround yourself with people whose gifts compliment yours, there’s no end to what can be accomplished. If you’re feeling burned out, maybe it’s time to take a close look at the make up of your team. 8. How can they believe if they have never heard? Every church has a life cycle, and their evangelistic vitality is dependent upon where they are in that cycle. 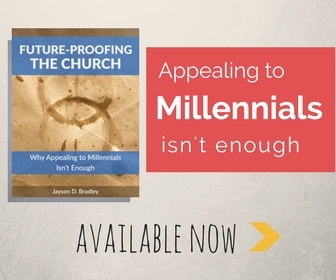 Many churches can exist for a long time in a state of decline, and during this stage evangelism is one of the first things to suffer. Church plants are important because they infuse the body with evangelistic energy. Paul is thankful for the positive effect that the church at Thessalonica has had in Macedonia and Achaia. But he didn’t teach them how to be good representatives of the gospel, he showed them. It’s so important that we don’t present the gospel as a series of facts that others need to agree with. The gospel is a life-changing reality which is demonstrated by our behavior. As people experience the gospel at work in the lives of believers, it becomes contagious and spills out in their own lives. Because Paul was in the game to set people free, he wasn’t going to allow himself to be a burden on anyone. He wanted his hard work to be an example that the church followed. Church planting is hard work, and it’s important that we don’t shirk it. Not only will we give an account for the work that we do, the people we minister to are watching us. Let’s give them the example we want them to follow. We don’t toil in vain. Every person we’ve helped to discover the kingdom and every life we’ve ministered into wholeness will be a jewel in our crown when Christ arrives. In our darkest moments, we can’t forget that we’re working for a crown that will last forever (1 Cor. 9:25). Every one of was in darkness until we were called into the light. As believers, we become a priesthood tasked with calling others into the light. This is the cyclical nature of kingdom living. Church planting becomes a wonderful expression of this reality. We plant a church with the desire of leading people to Christ, and hopefully we’re releasing new churches into the world where the cycle can continue. Church planting is difficult work that can challenge the most devoted believers. But if it was easy, everyone would be doing it. The key is to find inspiration where you can find it, and remind yourself often why your committed to this work. So bookmark this post, or share it with other church-planting friends. Then leave us a comment and share some of your most inspirational passages about planting churches! for the first time in my life i googled ‘encouragement for church planters’ and this post was exactly what i needed to see/read/be reminded of.